Gather on the Eastern Shore to make beautiful wall hanging/books that can roll up into a scroll. Gather by the sea this summer for three glorious days with Leslie Marsh and Roxanne Evans Stout in beautiful Topsail Beach, North Carolina! Together we will each make an exquisite wall hanging/book that can be rolled into a scroll or hung on a special wall. 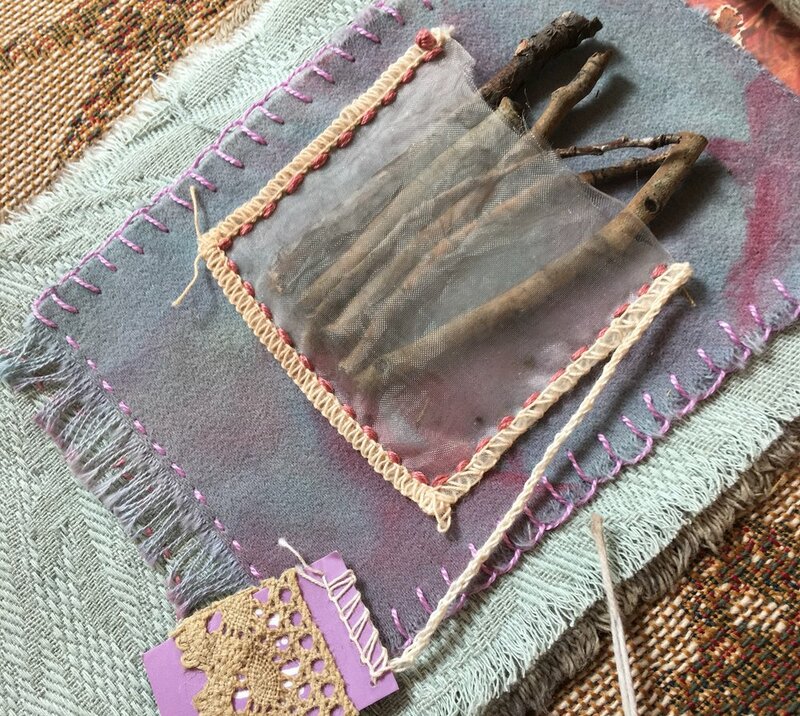 We will botanically dye plant material onto both fabric and paper, take walks on the beach, gather and collect treasures, make beach mandalas, attach found and natural treasures to your projects and make unique embellishments with your finds. We will also do some brayer printing, make some smaller books, paint and stencil symbols on your pages and stitch details on to your projects. Read More about this workshop and Register Here! Detail of Annie Hooten’s beautiful project from last year!